Last year, Panerai introduced the PAM392, which is a new 42mm model under its Luminor 1950 range. Inside the PAM392 is the P.9000 in-house movement, which features a 3-day Power Reserve. As we know, most of the Panerai watches are in the size of 40mm, 44mm and 47mm. Thus it is interesting to see a 42mm model released last year. 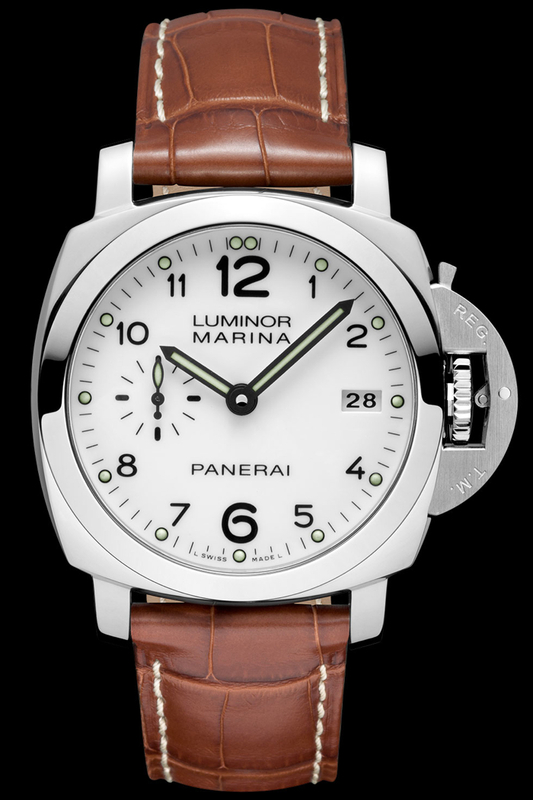 Panerai just announced the PAM523 (after SIHH 2013), which is a new 42mm white-dial Luminor 1950, to add to the PAM392. It uses the P.9000 in-house movement as well, which can be viewed via the sapphire crystal back case. The PAM523 is fitted with a brown alligator strap with a brushed steel buckle and it is supplied with the special tool for replacing the strap and a steel screwdriver. This looks to be a good choice for those that find the 44mm a tad too big, and prefer something different from the common black dial.